Tech Readers » IOT and IOT World – What you need to know! April 23, 2019 2:54 pm You are here:Home Miscellaneous IOT and IOT World – What you need to know! But what is this Internet of Things or Internet of Everything? Internet of Things, also known by the acronym IoT, comprises all the devices and objects that are enabled to be permanently connected to the Internet, being able to identify themselves in the network and to communicate with each other. They may have their state altered through that medium, with or without the active involvement of the human being and have the ability to collect a vast amount of information about those around them. 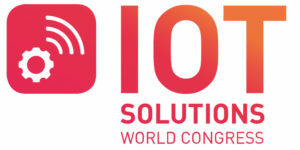 The Internet Society defines IoT broadly as “the extension of network connectivity and computing power to objects, devices, sensors, and other artifacts that are not normally considered computers.” All you need to know about this iot world can easily be found at the iot world event, where you can learn all things IOT, including the iot blockchain opportunity. Vehicles, traffic lights, home appliances, surveillance cameras, environmental detectors, presence sensors, and medical devices are just a few examples of what already exists today in the IoT universe. The objective (benign) of all these devices, and especially of the large amount of data resulting from their interaction through the Internet, is that the resulting processing is carried out in such a way that, for example, traffic jams are prevented, a disease is anticipated in a timely manner fatal to a patient or an incident in a building, to use energy more efficiently, to give just a few examples. Regarding Industry 4.0, also known as Industry IOT (IIoT), the concept goes far beyond the simple implementation of electronic systems and ICT in general in the factory production process, which characterized Industry 3.0, as shown in slide ( picture below). This new technological wave, which is based on the IoT concept above, enables a great interaction between the various devices installed along the production chain in the “shop floor”, including the logistics chain, allowing the manufacturing processes to result of a communion between the physical and virtual worlds. Both the equipment on the production lines, the products being manufactured and the logistics centers are able to interact autonomously, again with the (benign) objective of improving the production process and thus to produce higher quality products, more aligned with customer requirements and with improved efficiency throughout the value chain. In other words, the digital technology on which Industry 4.0 is based, in both the production component and the logistics component, involves the symbiosis of digital information from various sources and locations, in order to command and control the physical act of producing and distribute a good or set of goods. This union of ICT systems with OT (Operational Technologies) is characterized by a strong digital-physical-digital interaction, involving a set of technologies that go far beyond IoT, as in the case of massive data analysis (Big Data & Analytics), 3D printing, robotics and artificial intelligence, among others, which complete the cycle that scans the entire production and logistics process. Thus, IoT is, whether we like it or not, an inexorable reality and there is no way to return to the past. It will progressively invade the space where we work, where we have fun and where we live every day. In this context, we have two possible attitudes: either we ignore this reality or face it, preparing ourselves for this new normality created by us, in order to reach the aforementioned benign goals. However, this reality can also serve malicious purposes, both for our own private life and for the professional activity we have developed, namely in the context of National Defense and Security. So I get the following questions that I would share with you: Do we know if there are already IoT devices in our workspace? Are there defined policies regarding the respective purchasing process, the places where they can be installed, how they should be installed and configured and linked to the corporate network, as to the certification of the people who install and maintain them? And why do I share these questions, which in the end reveal a concern? Because if we have more devices connected to the Internet, the surface of contact with the outside world increases and thus also increases the risk of suffering a serious compromise due to the inherent and substantial increase of the attack surface.